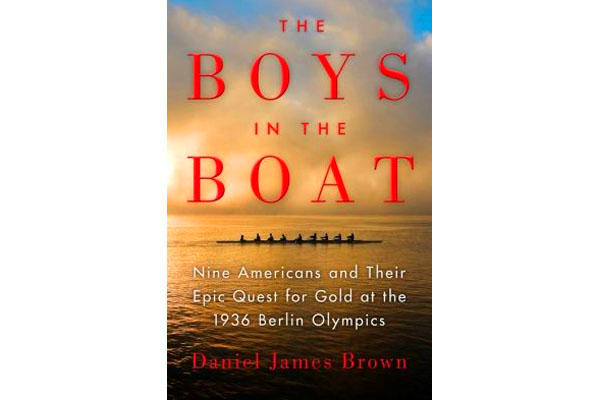 I don’t often read non fiction, but I recently finished reading The Boys in the Boat by Daniel James Brown. Okay, I’ve read a LOT of books in my life and this one is up in the top ten! I loved it. Totally loved it. It’s a true story about a group of young men in the 1930’s who attend the University of Washington and decide to row crew. I knew nothing, literally nothing about rowing, crew teams, coxswains, or the history of rivalry between the crew teams of California and Washington. Yet… something about this book grabbed me, and good. It’s a history story, it’s a sports story, it’s a human interest story. It’s an example of human persistence to the Nth degree. You can read the full synopsis over on Amazon (where it’s received oodles of 5 star reviews! ), but let’s suffice it to say, this is an INCREDIBLE book. It’s truly a must-read…. in my humble opinion. Thanks to my friend Susan B who loaned me this fabulous read. It was a great way to spend some time while recovering from my recent operation. This entry was posted in Books 2014 and tagged crew, history story, rowing, top ten books, University of Washington. Bookmark the permalink. Always good to hear about a good non-fiction read……..